Will the Pope celebrate a Traditional Mass on December 2? CITTÀ DEL VATICANO— ... [T]he nomination of the new "Master of Ceremonies" is expected for the next few days, in substitution of Archbishop Piero Marini. After the arrival of the new cerimoniere, it is "probable" that the Pope will celebrate a Mass in the old rite, in Saint Peter's, obviously entirely in Latin: it could take place on December 2, First Sunday in Advent. If that celebration truly happens, the passage of power between the current and the future "Master of Ceremonies" will have a generational and symbolical significance, for a Pope has not celebrated with the old Missal for over forty years: for a traditional "Papal Mass", it is necessary to move back to before 1965, the closing year of the Second Vatican Council, when Paul VI introduced the first changes. It is said that the new "Master" is another Marini, in his last name, his first name being Guido, a Genoese priest up to now unknown in Rome. It is said that he was presented to the Pope by Cardinal Bertone, who esteems him [after] having had him as cerimoniere in Genoa. Nothing is known about his position regarding the old Missal, but it is supposed that he would be more favorable to it than the Marini currently in charge, who is a passionate supporter of the liturgical reform. Nothing precise is known of the intention of the Pope to give to the bishops an "example" of spontaneous use of the old rite - other than through granting of the demands of the faithful (as the motu proprio [Summorum Pontificum] which he published in July foresees). The rumor comes from the lips of those who hope that gesture and who say that it would definitively "disencumber" the old Missal, which still faces resistances, despite the recent "liberalization", as well as from those who fear that the Pope may accomplish this gesture, because it would be "another step away from the Council". "It is only a rumor for the moment - says a monsignore who is neither favorable nor opposed to it -, but everyone talks about it here [in the Vatican], and I believe that he will do it even if he risks raising controversy, because Catholics who are under fifty have never seen a Pope celebrate with his back turned to the people and pronouncing the 'Eucharistic prayer' sottovoce. In the meantime, the 'court' that accompanied the Pontiff in the celebrations has been abolished and I would really like to see how the old Papal Mass would be carried out today!" The new Marini and Vian [new director of L'Osservatore Romano] will assume their offices after October 21: on that day, the Pope will be visiting Naples, and that will be the last public occasion for Mario Agnes ... and Marini senior. Source: Corriere della Sera; Transcript: Papa Ratzinger Blog. In the picture: Pope Saint Pius X celebrates Mass at the Altar of the Cathedra, in the apse of Saint Peter's. Ignazio Ingrao, Vaticanist of Italian weekly Panorama, reported Friday in his Panorama blog that the list of new cardinals for the (almost certain) November consistory is ready and will be announced in the next few days. The first name of the list would be that of Leonardo Sandri, new Prefect of Oriental Churches, followed by Angelo Comastri, Archpriest of Saint Peter's, Giovanni Lajolo, President of the Governatorate of Vatican City State, and Raffaele Farina, Librarian and Archivist of the Holy Roman Church; perhaps, Archbishop Foley, Grand Master of the Order of the Holy Sepulchre. The Italians would be Angelo Bagnasco, of Genoa and President of the Italian Episcopal Conference ("probably", according to Ingrao; "certainly", according to common sense), and "maybe" Paolo Romeo, of Palermo (the anti-Traditionalist former scheming nuncio in Italy), and the Traditionalist-friendly Luigi de Magistris (who is over 80). The archbishops of Paris, Warsaw, Minsk are probable names. Ingrao includes the name of the Archbishop of Barcelona, though that does not seem probable. Cardinals from the Americas would include the Archbishop of Washington, and the Archbishop of São Paulo, Odilo Scherer. Bishops of other nations would also be included - probably that of Bombay, Oswald Gracias. Ingrao states as a certainty that Don Guido Marini will organize the November consistory, and that Archbishop Piero Marini will be named president of the Pontifical Committee for International Eucharistic Congresses. The following text is a translation from French of a text by Father Roger-Thomas Calmel, O.P. (1914 -1975). It is taken from his beautiful book: Les Mystères du Royaume de la Grâce - The Mysteries of the Kingdom of Grace. We have to consider this text in its context, a few decades ago, but it is still accurate. Modernism is still present within the Church and it might be good to know it well in order to fight it better. May this text help us in this task, for the Glory of Our God and the exaltation of the Catholic Church. May Saint Michael the Archangel protect and defend us. For many reasons, the Church of God can be defined as the city of Christian grace. The first reason is that the author and dispenser of all graces, our Lord Jesus Christ, remains present in His Church through the Eucharist. He is there by virtue of presence neither diminished nor attenuated. Jesus in person dwells in His Church as real as He is present at the right hand of the Father, as immolated as at Calvary, though His presence and immolation are sacramentally realized. The author of grace is forever present in His Church and He constantly affects her by sacramental contact and fills her with grace. 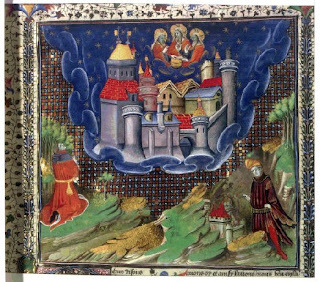 He does this through His ministers by virtue of supernatural hierarchical powers, so that the Church is established both as a veritable city and a holy city. The Church is also a city of grace in the sense that the proper and reserved function of this society belong to the supernatural order. The indestructible powers conferred to her hierarchy, assure with the indefectible assistance of the Holy Ghost, two great kinds of functions. First, it preserves intact and makes explicit the definitive revelation given by our Lord for our salvation, for our life according to grace. Then it confers the sacraments, which are the effective signs of grace and which conform us to Jesus Christ. Three of them even mark us by a character . On a third point of view, the Church can also be called the city of Christian grace, by virtue of charity which is constantly spread in her heart, especially by means of the sacraments. The Church is the temple of the Holy Ghost who dwells in her by the inhabitation of grace and love. Thus, whether we consider the Church as mediator of divine truth and life, or as the dwelling-place of God, She is, in these two prospects, an intrinsically supernatural mystery. She comes as a hierarchical and ordered society which transcends the earthly societies and the homelands here below. She transcends them, but she also purifies and changes them. She desires to waken them from a temporal Christian order and to elevate them to the level of Christian societies or Christendom. It has always been important and certainly today more than ever in this time of darkness when modernism acts to dissolve the Church from the inside, that we must understand that the two essential grandeurs of the Church are inseparable. Here below, being home of God and mediator of salvation are necessarily two inseparable things. Undoubtedly, when the Church will have joined with her Spouse in the beatific vision, when She will have entirely passed from this world to the Father (Jn 13,1), when she will become entirely glorious, then She will only be the triumphant Jerusalem and will cease from her role of mediation. How would she still be mediator of truth since we will see face to face? How would she still be mediator of Divine life since we will possess it without needing sacramental signs? How would she still be mediator for a propitiatory and imploring sacrifice since there will be no more sin to be expiated and since we will be consumed in the purest love? The grandeur that makes the Church the home of God lasts for all eternity. The grandeur that makes the Church mediator of salvation lasts only as long as time. Nevertheless, the fact is that, in this present condition, until the end of the earthly pilgrimage of the children of Adam and until the achievement of the human generations, the grandeur of the mystical life and of holiness and the real Eucharistic presence, in other words, the grandeur of the Church as home of God, totally clings to the grandeur of mediator and is totally sustained by this. All the efforts of modernism consist in corroding the grandeur of mediation. Let us say of hierarchical mediation thinking that it would erode and destroy at the same time the grandeur of holiness, and consequently would ruin the Church as the dwelling-place of God. But in truth, it will never destroy neither one nor the other. It will never destroy the Church as the dwelling-place of God, because first, its fury and its artifice will remain impotent against the Church as mediator of salvation. I spoke about the artifice of modernism. Let us be more precise. It is not a common and ordinary artifice. It is a satanic artifice. It comes in a slanted way that we do not expect. Modernism does not attack on a frontline. Modernism does not deny audibly that the Church is mediator of truth and grace and that she is endowed with hierarchical powers. But modernism creeps into the place where some means of ecclesiastical institution, which can be changed in a certain measure, meets the deposit of Divine institution, of which they are the indispensable instruments. For example, modernism denies that the Church is the infallible depositary and the faithful messenger of Christ’s revelation. But this assertion is not its principal weapon. It rather finds a subversive method and it is indeed crafty to silence and smoothly relativize the formulas and anathematize that which is nothing else in fact than the humble human condition of a definite language and a precise thought. Insofar as it succeeds, there is obviously no more need to deny to the Church the power to dispense the supernatural truth; it is useless to judge her on this subject because the elemental means that she has in order to do this has been removed. Modernism uses the same process regarding the hierarchical powers. It certainly does not hesitate to fight the Roman primacy or the apostolic succession of the Bishops, but it rather prefers from afar to neutralize the hierarchical powers. In doing so, it tries to impede the means, the humble conditions instituted by the Church, which allows their just and legitimate applications. Here, the way of modernism is democratization, named collegiality. It is a revolutionary and Rousseauist system of meetings, assemblies and votes, an entire structure of commissions that reduce considerably the Roman primacy or the jurisdiction of the Bishop and make it vain. The same method is used for the Mass and the Sacraments. This method consists in squeezing between what is from Divine institution and what is from ecclesiastical institution. If the method would succeed, sacraments would cease to be effective signs of grace and would become heretical and void ceremonies. The Mass would cease to be in truth the Holy Sacrifice and would become just a religious representation more or less worthy. We can see very well how this method works. Under the pretext that the rubrics and the formularies, the rites and the prayers which enclose and solemnize the sacramental form are not settled by the Gospel and under the pretext that they have known some variations throughout the centuries, they pretend that they are merely human. Then, they make them multiform, adaptable and indefinitely scalable according to the pastoral needs. Thus, the sacramental form, deprived of its humble protector elements required by human condition, is seriously in danger of becoming operative and invalid. This process of destruction is very much more dangerous than a loyal contestation. It can be spread among the pastors and the faithful before they even realize it. It can conceal with an appearance of reason since the element it wants to dissolve is not divinely instituted. It is certain the New Testament does not speak about the organization of the Church in dioceses, about the Roman canon in Latin, about the regulation of the rite of communion or about the dogmatic formulas of Nicaea, Chalcedon and Trent. But if you accept this, if you hold that they can be the object of some conciliar manipulations and that there is nothing to say about it since the majority accepts it, the world waits for this and the historical progress requires it; if you think in such a way and act consequently, then you destroy the Church’s function as mediator. If this goal could be reached, the Church would cease to be the temple of God. How would God live by theological charity in a Church whose Faith would be uncertain, the power of Order doubtful and the Eucharist heretical? And how would the power of Order be assured if the orthodox Faith that commands the rite of Ordination would falter? How would the Eucharist not become heretical if it were celebrated for a long time according to a formulary and rites in which the orthodoxy is much less expressed so that the Heretics can make it compatible for their ceremonies? If the Church were to give-in to the modernist attempts which slant attacks on her function of mediation, she would become the kingdom of absence: no more charity, because charity requires faith and sacraments of faith; no more Eucharistic presence and no more Eucharistic sacrifice because the form of this sacrament, as the form of all the sacraments, needs to be held, defended, solemnized and glorified by some appropriate formularies and some decent and fixed ceremonies. The modernist argument for modernism is this: that which is in the Church from ecclesiastical institution must be said, to be merely and only human. The conclusion that we must draw is that it can become anything in order to meet the requests of history. But speaking like this, is first forgetting that even in a profane city, the human and earthly elements which constitute the city – the human and earthly elements being the political common good and the organization of powers – cannot become anything and cannot be carried off by any historical movement. It is forgetting that there is a nature of city and that the kind of city created by the Revolution of 1789 and carried on by Communism to its fulfillment is a kind of city against nature. But the most certain grave error on which modernism is founded, even though it does not say it, is this: denying that what it considers as merely human and earthly in the Holy Church cannot be resolved in the human and earthly realm. On the contrary, the human and earthly order is connected to an intrinsically supernatural order of things. It is a means chosen by the authority assisted by the Holy Ghost for the communication of the truth and of the life which are not from man but from God. And the fact is that the Church cannot change this means neither make it evolved ad nutum. The reason is that, this means, which allows us to pass on the celestial goods has to conform to this very precise and particular end. Thus, the Church cannot inflect her government in some organisms similar to those of occult societies because, beyond the own iniquity of such organisms, they are incompatible with the supernatural powers that the Lord gave her. The Church cannot disregard the definitions and the anathemas. She cannot adopt the floating and evading language which is so-called pastoral from the Second Vatican Council, because this language is first an offense to the human mind and then it cannot be homogenous to the Revelation. The Church cannot content herself with indeterminate and adaptable rites, because they put the Sacraments that she received from her Spouse in peril. The fact is that everything apart from sin in the Church, belongs to the Church which is a city of a supernatural order. It does not mean that, in the area of the ecclesiastical institution, everything is assisted by the Holy Ghost on an equal level. Here, unlike what has been directly instituted by the Lord, there is place for something fallible, variable, modifiable and dismissible. Wanting to introduce immutability here would be indeed a kind of simplistic attitude. For example, the state of consecrated virginity that comes from the Gospel itself and has been inaugurated by Our Lady cannot be changed nor abolished. But it is also impossible that the virgins of Christ literally follow the same regular discipline at any time. We also know that, what is from ecclesiastical origin in the Church is a privileged place for impure concoctions, for too human combination and also and maybe firstly for a certain ecclesiastical omnipotence, which is clericalism. We can think about the despotic manner used by certain priests to impose posture during Mass, under the pretext that the Liturgy requires a liturgical attitude. And what about the tyranny of certain bishops, even before it has been inflated and exasperated by the collegiality? It is true that they often imagine that any kind of disobedience to their orders or their warnings constitutes necessarily in itself a sin. These remarks about what, in the Church, is from ecclesiastical origin and about the human elements which can sometimes make it void, would miss their goals if they came to distract our attention from this primary truth: in the city of God, even the elements of ecclesiastical origin – unless they are illegitimate, even with the contrary appearances, which is an easy thing in this period of modernist infiltration – belong to the city of God. For example, regarding the Sacraments, it is not only the matter and the form that are connected to the order of supernatural things, but also, and on different levels, the formularies and the rubrics. If you do not see this; if you consider, not a distinction but a heterogeneity between the data of the Scripture concerning the Church and the developments introduced by the Church in order to remain faithful to these data; if you consider on one side the divine element and on the other side the merely human element; if you esteem that the text of the Scripture is immutable while the definitions of Chalcedon or Trent are void and not for our time, or if you think that the text of the Canon of the Mass, because it has been established by the Church, can be changed to correspond to the demands of history and of ecumenism, and that only the words of the Consecration cannot be changed, because they come from the Lord; if you have all these conceptions, then you cannot perceive the transcendence of the Church’s mystery. The Church, considered as a whole, would cease being a mystery. She would not be recognized as a city really supernatural. She would not be any more the Holy Church. The faith of the Church, and also her hope, her sacraments, her worship and her magisterium, her powers of order and of jurisdiction, and finally her states of life will not continue in the eternal Homeland. Only her charity will eternally shine. But this eternal charity which will derive from the vision of the Three Divine persons has to be now formed and nourished in faith and hope, by the teaching of the magisterium and by the celebration of the cult – above all, by the celebration of the Holy Sacrifice – and within determined states of life. And the teaching of the magisterium, the celebration of the sacraments and the fidelity in the states of life are kept and supported by the means of ecclesiastical institutions which are indispensable for this. This is the reason why these means should not be considered as extrinsic to the supernatural mystery of the Church, like something simply earthly and absolutely incidental, merely human, modifiable according to the desire of the collegialities and the commissions or according to some chimeras or such or such hierarch. This is why we will do everything we can in order to impede the perversion and the destruction of these means which are constantly attacked by revolutionary tactics since Vatican II. In our resistance, we are sure to be faithful to the Church, because she wants to preserve the means that are necessary to maintain her function of mediation. She wants this in order to live in charity, so that Our Lord can dwell in her by the inhabitation of love and by the Eucharistic presence. The Virgin, Mother of God, the Virgin of the Stabat, of the Pentecost and of the miraculous intervention throughout history, the Virgin Mary coredemptrix will keep safe in the Holy Church not only the data instituted by the Lord but also the means from ecclesiastical origin by which the Spouse of Christ will unswervingly stand in the middle of men, both as mediator of salvation and home where God dwells, until the eternal day of the Parousia of our Beloved Savior. They are Baptism, Confirmation and Holy Order. In reference to Jean-Jacques Rousseau, the Swiss philosopher considered as a father of the French Revolution. 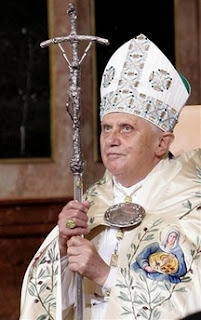 The new Prefect of the Doctrine of the Faith was named soon after the election of Pope Benedict XVI. Two and a half years have passed since April 2005, and several heads of dicasteries have been replaced: delicate positions such as that of Secretary of State, Prefect of Propaganda Fide, Prefect of Clergy... The head Bugninist in the Congregations (Domenico Sorrentino, former Secretary of the Congregation for Divine Worship) was replaced in November 2005... Even the motu proprio on the liberalization of the Traditional Mass, which many deemed impossible, has been published. Yet, Archbishop Piero Marini, Master of Pontifical Liturgical Ceremonies, has remained in his place. Andrea Tornielli writes today in his blog that Monsignor Guido Marini (more about him here) will be named the new Master of Pontifical Liturgical Ceremonies next week, maybe on Monday. Recess for a few days. The possibility for the celebration of Mass in the extraordinary form must be carried forward under the leadership of the Bishop by the principle of harmony between the interests and well-being of the Faithful making the request and the orderly care of souls. The permission of the extraordinary form may not reinforce existing tensions or cause new division (see Summorum Pontificum Article 5 § 1). The ordinary form of the celebration of Mass is using the Missale Romanum 1970 (in the version of the Editio typica tertia 2002 and - up to the appearance of the German issue of the 3rd Edition - `the Missal for the Dioceses of the German speaking areas' 2. 1988 Edition). For the extraordinary form of the celebration of Mass, the Missale Romanum 1962 (e.g. Editio juxta typicam Regensburg 1962, with Diocesan propers ) is to be used (see Summorum Pontificum Article 1). The Parish Mass is to be celebrated in the ordinary form. On Sundays, one Mass in the extraordinary form, in addition can 0be celebrated, not however replacing the Mass in the ordinary form (see Summorum Pontificum Article 5 § 2). The request for permission (in accordance with Summorum Pontificum Article 5 § 1) by groups of laymen (see Summorum Pontificum Article 7) can be made to the Parish Priest within a Parish and/or within a Parish organisation or a pastoral unit (Cathcon note- several parishes united together), which is the responsibility of a Parish Priest. If groups, however, consist of members of different Parishes and/or a Parish organisations or pastoral units, the request is to be addressed to the Diocesan bishop. About the kind and size of the groups making the request, nothing is laid down, in order to be able to respond to the local conditions appropriately. - Understanding of Latin . The Diocesan Bishops will make, as required, provision available for continuing and further training for the acquisition of the familiarity with the extraordinary form of the Rite and for the acquisition of the necessary understanding of the Latin language. The Parish Priest and/or Rector of a Church is not obliged, even if he possesses the suitability, to celebrate the Missale Romanum 1962. If he believes because of official burdens or for personal reasons that he is unable to meet the wishes of the Faithful, he should turn to the Diocesan bishop. The right of the Faithful in this matter (Summorum Pontificum Article 7) remains unaffected . 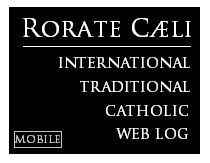 The Calendar and order of readings of the Missale Romanum 1962 should be used for the celebration of Mass in the extraordinary form 1962. Attention should be given to the already announced extensions after a period of time of the Calender through the Ecclesia Dei Commission..
For the reading of the readings in the vernacular (see Summorum Pontificum Article 6) the Perikopes are to be extracted from the recognised lectionary of the Missal for the Dioceses of the German speaking areas of 1988. Alternatively, the Schott of 1962 can be used. The German Bishops will for now make no use of the right to establish personal parishes (Summorum Pontificum Article 10) for the celebration of the Extraordinary Form of the Roman Rite. As the basis the report envisaged after three years over the experiences with the regulations of the Motu Proprio (see Accompanying Letter of Pope Benedict XVI.) the Parish Priest and/or the Rector, if he gives permission for the Mass celebration in the extraordinary form in his Parish and/or Church must make a report to the Diocesan Bishop. Parish Priests and Rectors, in whose Parishes and/or Churches Mass celebrations in the extraordinary form take place, must inform the Diocesan Bishops on a continuous basis about any development. 1) On the division among Italian bishops regarding the application of the motu proprio Summorum Pontificum, reported here last week, the Secretary of the Italian Episcopal Conference (CEI), Bishop Giuseppe Betori, told Zenit that, "no Bishop is against the Motu proprio; if there is any Bishop who refuses the application of the Motu proprio, he is out of the line of the Italian Episcopal Conference and [out] even of the invitation [extended by] the Holy Father." It is noticed in the Holy Palaces [Vatican] that the motu proprio in reference was published last July 7, while the last issue of the AAS that was published was that dated April 6 , which reports documents and pontifical nominations dated from up to April 5 . It cannot be seen, therefore, how it could be affirmed, or believed, as a matter of fact, that the "Official Record" of the Holy See has not published the motu proprio. It will be necessary to wait for three or four [additional] issues of the AAS, at least, to verify if the publication took place or not. 3) On the German Episcopal Conference's discussion of the motu proprio, its application, and its "interpretation": coverage on Catholic Church Conservation. In the run-up to the plenary assembly, guidelines were compiled on two sides of A4, which are now to be adopted by the chief pastors. Lehmann stated confidently that he could present this at the end of the week. Starting from at the beginning of October, the guidelines could then come into force. Decisions must, in the long run, be made by each Diocese, stresses the Bishops’ conference chairman. Guidelines are not binding. When the need in the Dioceses is compared with that of the past year when the Bishops’ Conference arranged a survey, the demand has so far not considerably increased, said Lehmann. They are called the Acta Apostolicæ Sedis [The Acts of the Apostolic See-AAS] and have been for a century the organ which gives force to papal provisions. It may happen that the [Holy See] Press Office or that the website vatican.va precede them, but their wording [sic] is the official one. The fact that the motu proprio on the use of the Tridentine Missal, in force from September 14, has still not been published on the Acta, maybe in the expectation of solving some of the doubts which it brings, causes reflection. Other than the objection which the Pope showed himself to know in his letter to the Bishops, there were the Latin flaws detected by Carlo Ossola... Then, Cardinal Carlo Maria Martini stepped in to explain why he had not used the privilege which the motu proprio granted. Some liturgists have underlined that the conditions established by the motu proprio for the use of the Tridentine rite are rather severe, more than the Traditionalist enthusiasm may make believe. 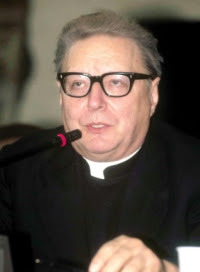 A great scholar of the Latin liturgical books, Manlio Sodi, documented afterwards that there is a Missal of Tradition and Scripture, that is, the well thought out Missal of Paul VI, and not the one born from that chaotic phase of the post-Tridentine Council. The reality, in fact, [is that] the distinctions between ordinary and extraordinary form of the Mass (which then-Cardinal Ratzinger in 1982 and 1983) demands harsh pastoral forcefulness. There is, first, an incredible lie when Melloni says that, "some liturgists have underlined that the conditions established by the motu proprio for the use of the Tridentine rite are rather severe" - the use of "some" in such comments hides the fact that no names are mentioned, since no honest person can state that there are any "severe" conditions established by the motu proprio. On the contrary: all distortions in the application of the motu proprio have been caused exclusively by ill-intentioned bishops who have sought to "interpret" the motu proprio their own way, as if it were a second "Ecclesia Dei", not a document which clarifies the rights (not "privileges") of priests and faithful. There is also the lie that the Traditional Missal was somehow "created" after the Council of Trent (in the "chaotic post-Tridentine years"...), which no mediocre student of the liturgy of the Latin Church would ever ascertain. Naturally, lying is all that is left for Melloni and his companions of intellectual thuggery. Can. 7 A law comes into being when it is promulgated. There is obviously no doubt that Summorum Pontificum is in full force, irrespective of its official publication in the AAS: "We order that everything We have decreed with this Apostolic Letter given Motu Proprio be considered as having full and lasting force, and be observed from September 14 of this year, Feast of the Exaltation of the Holy Cross, notwithstanding any provisions to the contrary." What is left is for priests and faithful to exercise their rights and for Bishops to provide for what the new law asks of them, when their intervention is at all necessary - and not to "interpret" the new law, a role reserved to the Apostolic See and its special dicastery, the Pontifical Commission Ecclesia Dei. Debate in the CEI (Italian Episcopal Conference): the motu proprio on the Mass should not be interpreted, but applied. ROME. Last Monday, in his opening statement to the meeting of the Permanent Council [of the Italian Episcopal Conference-CEI], the President of the CEI, Archbishop of Genoa Angelo Bagnasco, had included a decidedly positive reception of the motu proprio "Summorum Pontificum" by which Benedict XVI has recognized the full citizenship of the pre-Conciliar Mass in the Catholic Church, liberalizing its use. Yet, from the first interventions in the discussion which happenedbehind closed doors, it was understood that not all think thus in the little parliament of the CEI. Critical words towards the so-called Tridentine Mass came from the Archbishop of Lanciano, Carlo Ghidelli, a Lombard, and from [the Archbishop] of Chieti, Bruno Forte, a Neapolitan, both of them former students of Cardinal Carlo Maria Martini. The Archbishop of Lucca, Benvenuto Italo Castellani, the Archbishop of Palermo, Paolo Romeo (in the line to receive the cardinalatial porpora in the next consistory), and the Bishop of Cerignola, Felice di Molfetta -- president of the Episcopal Commission for the Liturgy and who, in the past, was harshly critical even towards "Redemptionis Sacramentum", the instruction against liturgical abuses published in 2004 by the Vatican Congregation for Divine Worship, in agreement with the [Congregation] for the Doctrine of the Faith, guided by then-Cardinal Joseph Ratzinger -- also spoke against the Missal fully rehabilitated by the reigning Pontiff. The common thread of all these critical interventions was, on one hand, the charge that the old Missal is imbibed in an ecclesiology now incompatible with that which would be expressed by the new Missal, a product of the liturgical reform effected in the post-Council, and, on the other, the call for the CEI to take responsibility for the preparation of an interpretative document of the motu proprio for its application, in an obviously restrictive sense, in the Italian Church. The attempt to weaken "Summorum Pontificum" in the very nation which has the Pope as its primate was nonetheless voided. 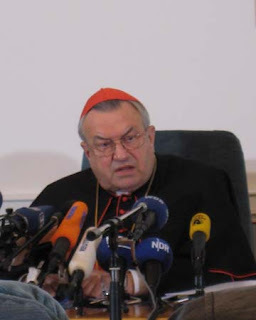 The demand for the promulgation of an interpretative document was not accepted also because Cardinals of great relevance, such as Camillo Ruini, Carlo Caffarra, and Angelo Scola, expressed themselves against this possibility in clear interventions. The perplexities of consistent sectors of the Italian Church regarding the motu proprio had already been revealed in late August, in Spoleto, where the 58th National Liturgical Week was celebrated. At the time, many liturgists had asked Bishop Di Molfetta to convey to the Pope, with a letter endorsed by the CEI, the concerns and perplexities with the liberalization of the pe-Conciliar Mass. But the secretary of the CEI, Bishop Giuseppe Betori, avoided signing it. 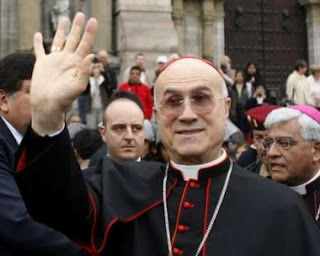 In an interview on his first year in office to Avvenire, the semi-official news daily of the Italian Episcopal Conference (CEI), the Secretary of State, Cardinal Bertone, shared his thoughts on a possible reform of the Roman Curia and on the first steps in the implementation of Summorum Pontificum. [Avvenire:] The possibility of restructuring of the Roman Curia has been often discussed in the past. Is an organic reform for streamlining the Curia truly under consideration? It is a hypothesis still on the level of studying and verifying the experiences of the application of the Apostolic Constitution Pastor Bonus, of John Paul II, and I therefore cannot speak more of it. [Avvenire:] It has been said that the Pope "writes books and gives the impression of having decided not to lead. Even if Bertone seems to have the temptation to do so [lead]...". Do you see yourself in this description? Absolutely not. The Pope has a great awareness of his role as Supreme Pontiff of the Universal Church with all the obligations and duties which this entails. For my part, I am simply his Secretary of State, with the responsibility on the workings of that structure which is at the service of the mission of the Bishop of Rome, and I try to accomplish my duty in perfect communion with Pope Benedict XVI. [Avvenire:] September 14 signals the coming into force of the motu proprio Summorum Pontificum. You had hoped, in these columns [of Avvenire], for a serene reception of this document. Did [the serene reception] indeed happen? Substantially, yes. Moreover, if common sense, and not ideologisms of diverse natures, prevails, I do not believe that there will be problems in the application of Summorum Pontificum. Nonetheless, I notice, when visiting several local Churches, that the knowledge of the Latin language is decreasing ever more, and maybe the occasion for its recovery should not be lost, for the heritage which it has handed down. From the main address of the President of the Italian Episcopal Conference (CEI), Archbishop Angelo Bagnasco, to the permanent council of the Conference (September 17, 2007). The initiative regarding which even the intra-Church attention has been focused in the past few months is the "Motu proprio" Summorum Pontificum, on the use of the Roman liturgy prior to the reform of 1970 and officially in force from the past September 14. The goal of this pronouncement is clearly entirely spiritual and pastoral. 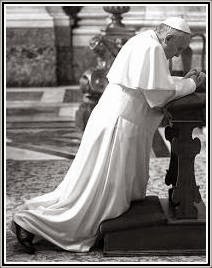 In fact, on the one hand, "it behooves all of us to preserve the riches which have developed in the Church’s faith and prayer" - as the Pope writes in the accompanying letter to the "Motu proprio" -; on the other, it is necessary "to make every effort to enable for all those who truly desire unity to remain in that unity or to attain it anew". Within this horizon, he deigns to include as an "extraordinary" expression in the lex orandi of the Church the Roman Missal promulgated by Saint Pius V and aggiornato by Blessed John XXIII in 1962, though the "ordinary" way remains the Roman Missal published by Paul VI in 1970. And he insists in clarifying that there will not be two rites, but "two uses of the one Roman rite", who all [of us] wish always to be at the center of the ecclesial life, an occasion of full "reconciliation" and of a living unity in the Church herself. What the Pope encourages us to adopt, beyond the cultural forces to which one is necessarily susceptible, is thus an inclusive, and not a confrontational, interpretative key. In the history of the liturgy, as in the life of the Church, there is "growth and progress, but never rupture", as he had already had the chance to affirm in the speech to the Roman Curia of December 22, 2005. In fact, in that occasion, celebrating the 40th anniversary of the Second Vatican Council, he indicated as valid not "the hermeneutic of discontinuity and rupture", but rather that of "reform, of renewal in continuity with the one subject-Church". In other words, it is the solicitude for the unity of the Church "in space and time" the motivating force which moves Benedict XVI, a matter which fundamentally pertains to the Successor of Peter. But this passion for unity must move every Christian and every pastor considering the prospects which are opened with the "Motu proprio". And not, therefore, the search for a personal aesthetic fancy, detached from the community and often in opposition to others, but a will to include oneself always more in the Mystery of the Church which prays and celebrates, not excluding anyone and without a forestalling opposition regarding other liturgical forms or regarding the Second Vatican Council. Only thus will it be avoided that a measure intended towards greater unity and fervor in the Christian community be used instead to hurt and divide it. I wish to add, nonetheless, that I am reasonably optimistic on a better appraisal of the "Motu proprio" in the life of our parishes. And I trust that certain pessimistic concerns, voiced [at the time], soon showed themselves to be unfounded. The sense of balance which has always characterized our clergy and, therefore, our pastoral [work], will allow [us] to find, thanks to the moderating action of the Bishops, the just way to make the new bud blossom in the living plant of ecclesial liturgy, and even, as a final result, to relaunch and increase the latter in its entirety. The Intolerant "Bishop of Tolerance"
Even a journalist of a newspaper not particularly friendly to the Church, Corriere della Sera, fails to understand how a "Bishop of tolerance" can be so intolerant of the rights of his priests and the desires of Traditional Catholics, even after the clear words of Pope Benedict in the motu proprio Summorum Pontificum. The bishop of tolerance. Of immigrants. Of the underprivileged. [A bishop] Who grants the diocesan structure of the Tent of Abraham to Muslims for the Friday prayers and the chapel adjacent to the Cathedral of Caserta to the Ukrainian and Moldavian Orthodox. But who has forbidden the celebration of the Tridentine Mass repristinated since past September 14 by the motu proprio of Benedict XVI. With a telephone call, Bishop Raffaele Nogaro [of Caserta, near Naples] ringed the rector of the Shrine of Saint Anne of Caserta, Father Giovanni Battista Gionti, and ordered him to suspend the celebration, planned for tonight [Sunday night], at 8 PM. As head of the Curia, he did not fear granting the structures of the diocese to religious ceremonies of Muslims or Orthodox. "Right - he says - because to help people pray is an honorable effort. While to grumble in Latin does not serve any purpose whatsoever [lit. non serve a nulla]. "The faithful must be offered something which is valuable and educational, not occasions of disorientation. And I maintain that numbing them with sacred images is only choreography and roleplaying. A useless aesthetic object [lit. cornice] which does not convey anything." Transcripts (Corriere del Mezzogiorno and Corriere della Sera): Papa Ratzinger Blog (1;2). First question: Is the administration of food and water (whether by natural or artificial means) to a patient in a "vegetative state" morally obligatory except when they cannot be assimilated by the patient’s body or cannot be administered to the patient without causing significant physical discomfort? Response: No. A patient in a "permanent vegetative state" is a person with fundamental human dignity and must, therefore, receive ordinary and proportionate care which includes, in principle, the administration of water and food even by artificial means. The Congregation for the Doctrine of the Faith has formulated responses to questions presented by His Excellency the Most Reverend William S. Skylstad, President of the United States Conference of Catholic Bishops, in a letter of July 11, 2005, regarding the nutrition and hydration of patients in the condition commonly called a "vegetative state". The object of the questions was whether the nutrition and hydration of such patients, especially if provided by artificial means, would constitute an excessively heavy burden for the patients, for their relatives, or for the health-care system, to the point where it could be considered, also in the light of the moral teaching of the Church, a means that is extraordinary or disproportionate and therefore not morally obligatory. One should note, first of all, that the answers given by Pius XII referred to the use and interruption of techniques of resuscitation. However, the case in question has nothing to do with such techniques. Patients in a "vegetative state" breathe spontaneously, digest food naturally, carry on other metabolic functions, and are in a stable situation. But they are not able to feed themselves. If they are not provided artificially with food and liquids, they will die, and the cause of their death will be neither an illness nor the "vegetative state" itself, but solely starvation and dehydration. At the same time, the artificial administration of water and food generally does not impose a heavy burden either on the patient or on his or her relatives. It does not involve excessive expense; it is within the capacity of an average health-care system, does not of itself require hospitalization, and is proportionate to accomplishing its purpose, which is to keep the patient from dying of starvation and dehydration. It is not, nor is it meant to be, a treatment that cures the patient, but is rather ordinary care aimed at the preservation of life. What may become a notable burden is when the "vegetative state" of a family member is prolonged over time. It is a burden like that of caring for a quadriplegic, someone with serious mental illness, with advanced Alzheimer’s disease, and so on. Such persons need continuous assistance for months or even for years. But the principle formulated by Pius XII cannot, for obvious reasons, be interpreted as meaning that in such cases those patients, whose ordinary care imposes a real burden on their families, may licitly be left to take care of themselves and thus abandoned to die. This is not the sense in which Pius XII spoke of extraordinary means. Everything leads to the conclusion that the first part of the principle enunciated by Pius XII should be applied to patients in a "vegetative state": in the case of a serious illness, there is the right and the duty to provide the care necessary for preserving health and life. The development of the teaching of the Church’s Magisterium, which has closely followed the progress of medicine and the questions which this has raised, fully confirms this conclusion. The Declaration on Euthanasia, published by the Congregation for the Doctrine of the Faith on May 5, 1980, explained the distinction between proportionate and disproportionate means, and between therapeutic treatments and the normal care due to the sick person: "When inevitable death is imminent in spite of the means used, it is permitted in conscience to take the decision to refuse forms of treatment that would only secure a precarious and burdensome prolongation of life, so long as the normal care due to the sick person in similar cases is not interrupted" (Part IV). Still less can one interrupt the ordinary means of care for patients who are not facing an imminent death, as is generally the case of those in a "vegetative state"; for these people, it would be precisely the interruption of the ordinary means of care which would be the cause of their death. On June 27, 1981, the Pontifical Council Cor Unum published a document entitled Some Ethical Questions Relating to the Gravely Ill and the Dying, in which, among other things, it is stated that "There remains the strict obligation to administer at all costs those means which are called ‘minimal’: that is, those that normally and in usual conditions are aimed at maintaining life (nourishment, blood transfusions, injections, etc.). The discontinuation of these minimal measures would mean in effect willing the end of the patient’s life" (no. 2.4.4.). In an Address to participants in an international course on forms of human preleukemia on November 15, 1985, Pope John Paul II, recalling the Declaration on Euthanasia, stated clearly that, in virtue of the principle of proportionate care, one may not relinquish "the commitment to valid treatment for sustaining life nor assistance with the normal means of preserving life", which certainly includes the administration of food and liquids. The Pope also noted that those omissions are not licit which are aimed "at shortening life in order to spare the patient or his family from suffering". In 1995 the Pontifical Council for Pastoral Assistance to Health Care Workers published the Charter for Health Care Workers, paragraph 120 of which explicitly affirms: "The administration of food and liquids, even artificially, is part of the normal treatment always due to the patient when this is not burdensome for him or her; their undue interruption can have the meaning of real and true euthanasia". 2) In response to those who doubt the "human quality" of patients in a "permanent vegetative state", it is necessary to reaffirm that "the intrinsic value and personal dignity of every human being do not change, no matter what the concrete circumstances of his or her life. A man, even if seriously ill or disabled in the exercise of his highest functions, is and always will be a man, and he will never become a ‘vegetable’ or an ‘animal’" (no. 3). 3) "The sick person in a vegetative state, awaiting recovery or a natural end, still has the right to basic health care (nutrition, hydration, cleanliness, warmth, etc. ), and to the prevention of complications related to his confinement to bed. He also has the right to appropriate rehabilitative care and to be monitored for clinical signs of possible recovery. I should like particularly to underline how the administration of water and food, even when provided by artificial means, always represents a natural means of preserving life, not a medical act. Its use, furthermore, should be considered, in principle, ordinary and proportionate, and as such morally obligatory, to the extent to which, and for as long as, it is shown to accomplish its proper finality, which in the present case consists in providing nourishment to the patient and alleviation of his suffering" (no. 4). 4) The preceding documents were taken up and interpreted in this way: "The obligation to provide the ‘normal care due to the sick in such cases’ (Congregation for the Doctrine of the Faith, Declaration on Euthanasia, p. IV) includes, in fact, the use of nutrition and hydration (cf. Pontifical Council Cor Unum, Some Ethical Questions Relating to the Gravely Ill and the Dying, no. 2, 4, 4; Pontifical Council for Pastoral Assistance to Health Care Workers, Charter for Health Care Workers, no. 120). The evaluation of probabilities, founded on waning hopes for recovery when the vegetative state is prolonged beyond a year, cannot ethically justify the cessation or interruption of minimal care for the patient, including nutrition and hydration. Death by starvation or dehydration is, in fact, the only possible outcome as a result of their withdrawal. In this sense it ends up becoming, if done knowingly and willingly, true and proper euthanasia by omission" (n. 4). Therefore, the Responses now given by the Congregation for the Doctrine of the Faith continue the direction of the documents of the Holy See cited above, and in particular the Address of John Paul II of March 20, 2004. The basic points are two. It is stated, first of all, that the provision of water and food, even by artificial means, is in principle an ordinary and proportionate means of preserving life for patients in a "vegetative state": "It is therefore obligatory, to the extent to which, and for as long as, it is shown to accomplish its proper finality, which is the hydration and nourishment of the patient". It is made clear, secondly, that this ordinary means of sustaining life is to be provided also to those in a "permanent vegetative state", since these are persons with their fundamental human dignity. These exceptional cases, however, take nothing away from the general ethical criterion, according to which the provision of water and food, even by artificial means, always represents a natural means for preserving life, and is not a therapeutic treatment. Its use should therefore be considered ordinary and proportionate, even when the "vegetative state" is prolonged. 1 Terminology concerning the different phases and forms of the "vegetative state" continues to be discussed, but this is not important for the moral judgement involved. It is September 14, 2007, 0000 Rome time (midnight), as the motu proprio Summorum Pontificum gradually goes into effect around the world. Cardinal Castrillón Hoyos: I would say that John Paul II wanted to give to the faithful who loved the ancient rite -- some of whom left to join Archbishop Lefebvre's movement, but who later returned in order to maintain full unity with the Vicar of Christ -- the opportunity to celebrate the rite that was nearest to their sensibility. 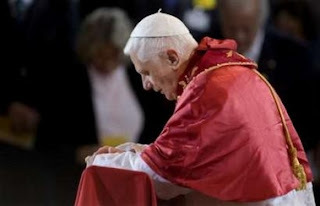 The Holy Father Benedict XVI participated from the beginning in the Lefebvrist question and therefore knew well the problem created for those faithful by the liturgical reform. The Pope has a special love for the liturgy -- a love that is translated into a capacity for studying, for learning more about the liturgy itself. This is why Benedict XVI considers the liturgy from before the Conciliar reform an inestimable treasure. The Pope does not wish to move backwards. It is important to know and underline that the Council did not prohibit the liturgy of Saint Pius V and we must also say that the Fathers of the Council celebrated the Mass of Pius V.
It is not -- as many maintain because they don't know the reality -- a step backward. On the contrary: the Council wanted to grant a wide freedom to the faithful. One of these freedoms was that of keeping this treasure -- as the Pope says -- which is the liturgy, to keep it alive. Q: What has truly changed with this motu proprio? Cardinal Castrillón Hoyos: With this motu proprio, in reality, there has not been a great change. The important thing is that in this moment, priests can decide, without permission from the Holy See or the bishop, to celebrate the Mass in the ancient rite. And this holds true for all priests. It is the parish priests who must open the doors to those priests that, having the faculty [to do so], wish to celebrate. It is not therefore necessary to ask any other permission. Q: Your Eminence, this document was accompanied by fear and polemics. What is not true about what has been said or read? 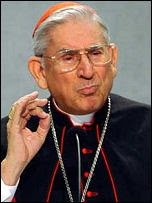 Cardinal Castrillón Hoyos: It is not true, for example, that power was taken away from bishops over the liturgy, because the Code of Canon Law says who must give permission to say Mass and it is not the bishop: the bishop gives the "celebret", the power to be able to celebrate [Rorate Note: any Mass, in any "Form"; in the Particular Church to which the priest belongs, with ordination; in other Particular Churches, cf. CIC, Canon 903], but when a priest has this power, it is the parish priest and the chaplain who must grant the altar to celebrate. If anyone impedes him, it is up to the Pontifical Commission Ecclesia Dei, in the name of the Holy Father, to take measures until this right -- which is a right that is clear to the faithful by now -- is respected. Q: On the eve of the motu proprio taking force, what are your hopes? Cardinal Castrillón Hoyos: My hopes are these: The Eucharist is the greatest thing we have, it is the greatest manifestation of love, of God’s redemptive love, Who wants to stay with us with this Eucharistic presence. This must never be a motive for discord, but only for love. I hope that this can be a reason for joy for all those who love tradition, a reason for joy for all those parishes that will no longer be divided, but will have -- on the contrary -- a multiplicity of holiness with a rite that was certainly a factor and instrument of sanctification for more than a thousand years. We thank, therefore, the Holy Father, who rescued this treasure for the Church. Nothing is imposed on anyone, the Pope does not impose the obligation; the Pope does impose offering this possibility where the faithful request it. If there is a conflict, because humanly speaking two groups can enter into conflict, the authority of the bishop -- as written in the motu proprio -- must intervene to avoid it, but without canceling the right that the Pope gave to the entire Church. 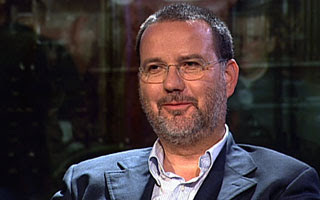 The current Chancellor of the Archdiocese of Genoa, Monsignor Guido Marini - who also is the Prefect of the ancient Cathedral of San Lorenzo and Archdiocesan Master of Ceremonies (Cerimoniere), as well as spiritual director of the Archdiocesan seminary and professor of Canon Law in several institutions -, has been named by several Italian journalists as the man who will replace Archbishop Piero Marini (no relation) as Master of Pontifical Liturgical Ceremonies. First, Andrea Tornielli, on the September 2 edition of Il Giornale; now, Sandro Magister. 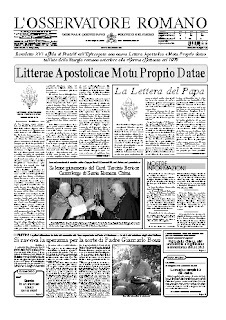 The most interesting report, though, is that of a local Genoese news site, Primocanale, which details several changes in the local Curia, related to the probable departure of Don Guido Marini for Rome - and which would seem to indicate that the Papal move is imminent. UPDATE (2245 GMT): It seems to be all but certain, as even Zenit (German edition) reports this imminent move (tip: Berolinensis). As you know Pope Benedict XVI issue a Motu Proprio that becomes effect on September 14, 2007 allowing the celebration of an extraordinary form of the Mass, commonly called the Tridentine Mass, under certain circumstances. This does not require special permission from me. However, the Holy Father is very clear that it is the Bishop’s responsibility to ensure that the liturgy is celebrated properly and that the priests who celebrate it are sufficiently knowledgeable in Latin. Since very few of our priests were ordained while this form was in common use, it will be necessary to establish a process to train and/or evaluate this competency the Holy Father mandates. We do not yet have the details of this in place but hopefully we will have it in place soon. In the meantime, please do NOT presume such competency. Do not celebrate using the extraordinary form until you have been certified. Even after certification, please be aware that it may only be used for private celebrations (without people present, except for a properly trained male altar server) or at the request of an established, stable group of lay faithful who request it and with the pastor’s approval. Such public celebrations are not at the initiative of the priest. The proper liturgical books must be used as well as the vestments required for the 1962 rite. Information about where you may acquire these will also be provided. To the best of my knowledge there are no groups that meet the conditions of the Motu Proprio. For the purpose of clarity, such groups would need to number at least 20 people. Thank you for your patience as we continue to refine this option to avoid unnecessary confusion for our people. Consistency in the practice will help. "In Masses celebrated without the people, each Catholic priest of the Latin rite, whether secular or regular, may use the Roman Missal published by Bl. Pope John XXIII in 1962, or the Roman Missal promulgated by Pope Paul VI in 1970, and may do so on any day with the exception of the Easter Triduum. For such celebrations, with either one Missal or the other, the priest has no need for permission from the Apostolic See or from his Ordinary." "Celebrations of Mass as mentioned above in art. 2 may – observing all the norms of law – also be attended by faithful who, of their own free will, ask to be admitted." Could it be any clearer that, for "private Masses" (Masses sine populo, with or without attending faithful), the juridical position of both Missals ("secundum unum alterumve Missale") is the same, and that no priest has any need for any permission, certification, diploma, or any kind of pseudo-obstacle? (Old posts on the subject: Summorum Notes: The priest's unalienable right to the Traditional Mass - The significance of "Private Masses" and Summorum Pontificum: Axes of Interpretation). Armand Maillard, Bishop of Laval, who was himself the main cause of one of the most sordid episodes of persecution of Traditional Catholics in France in recent years, in Niafles (several posts available here), was promoted today by Pope Benedict to the archbishopric of Bourges. Bourges is a historical archdiocese, with no suffragan dioceses left - but it is larger and more significant than Laval. Is Maillard's nomination to this larger see an example of "promoveatur ut amoveatur" or just another confusing result of the episcopal-appointment process (as the unforgettable Wielgus Affair)? The "determining factor" in Liturgy is "our looking to God"
The interior disposition of each priest, and of each consecrated person, must be that of “putting nothing before the divine Office” [Rorate Note: this same expression of the Rule of Saint Benedict, «ut operi Dei nihil praeponatur», was quoted by the Holy Father in the introductory words of the motu proprio Summorum Pontificum]. The beauty of this inner attitude will find expression in the beauty of the liturgy, so that wherever we join in singing, praising, exalting and worshiping God, a little bit of heaven will become present on earth. Truly it would not be presumptuous to say that, in a liturgy completely centered on God, we can see, in its rituals and chant, an image of eternity. Otherwise, how could our forefathers, hundreds of years ago, have built a sacred edifice as solemn as this? Here the architecture itself draws all our senses upwards, towards “what eye has not seen, nor ear heard, nor the heart of man imagined: what God has prepared for those who love him” (1 Cor 2:9). In all our efforts on behalf of the liturgy, the determining factor must always be our looking to God. We stand before God – he speaks to us and we speak to him. Whenever in our thinking we are only concerned about making the liturgy attractive, interesting and beautiful, the battle is already lost. Either it is Opus Dei, with God as its specific subject, or it is not. In light of this, I ask you to celebrate the sacred liturgy with your gaze fixed upon God within the Communion of Saints, the living Church of every time and place, so that it will truly be an expression of the sublime beauty of the God who has called men and women to be his friends. ...obedience to God’s will, obedience to Jesus Christ, must be, really and practically, humble obedience to the Church. This is something that calls us to a constant and deep examination of conscience. "It is pride which fills Modernists with that confidence in themselves and leads them to hold themselves up as the rule for all, pride which puffs them up with that vainglory which allows them to regard themselves as the sole possessors of knowledge, and makes them say, inflated with presumption, We are not as the rest of men, and which, to make them really not as other men, leads them to embrace all kinds of the most absurd novelties; it is pride which rouses in them the spirit of disobedience and causes them to demand a compromise between authority and liberty; it is pride that makes of them the reformers of others, while they forget to reform themselves, and which begets their absolute want of respect for authority, not excepting the supreme authority. No, truly, there is no road which leads so directly and so quickly to Modernism as pride."